This post will focus on the Rolleiflex 3.5F loaded with Portra 400. Full disclosure, I’ve never gotten along with Medium Format cameras. I don’t know if I want to blame the format of the film (6X6) or the top-down viewfinder, either way, its never been a very enjoyable experience for me. I guess I’m more of a control freak then I’d like to admit, but I need to know what the exposure is for the highlights and the shadows before I fire a shot. 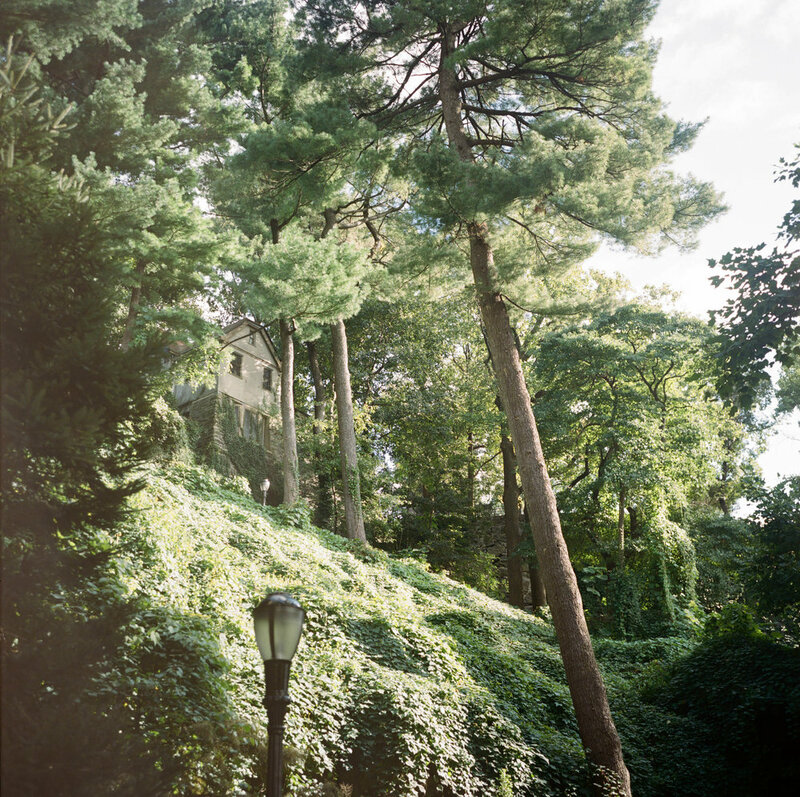 The cloisters is a place that allows you time to shoot, but in the street it would drive me crazy to put my camera down, reach into my pocket for my phone, open the app, set the film speed, measure the light, make the adjustments and then shoot. I like to be able to change a setting at a moments notice without having to take my eye out of the viewfinder, and know exactly what my exposure is. The large negatives are a great plus don’t get me wrong, but for my style of photography the tradeoff is not worth it. I’ve often wondered if I would get along with a MF Range-finder. I’m sure I would like the ergonomics better than the Rolleiflex and Hasselblad I’ve used before. I can’t even think about that now though haha maybe someday. 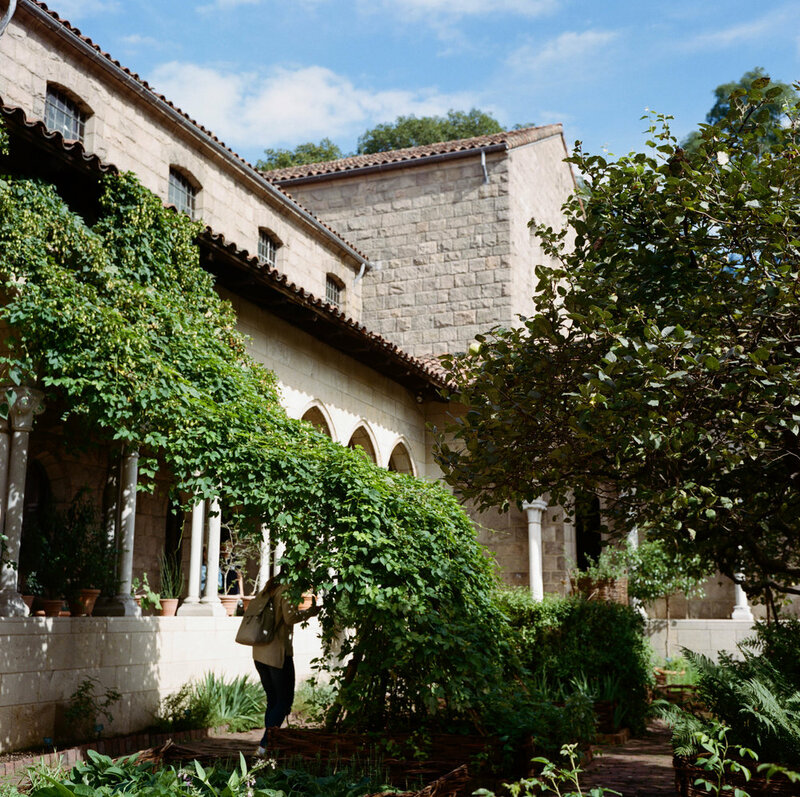 Although I loved visiting the Cloisters museum, one of my favorite parts of the day was walking around Fort Tyron Park, which is where the museum is situated. Portra just loves green don’t you think? There was this fantastic archway that you might remember from last week. I still think it belongs in Westeros, despite the streetlight. I’m going to try to be better about shooting my Rolleiflex, its a fantastic camera and it deserves to be used. Any suggestions on what Medium Format Rangefinder might be a good fit? I’m not going to buy one now but hey, looking never hurts right?